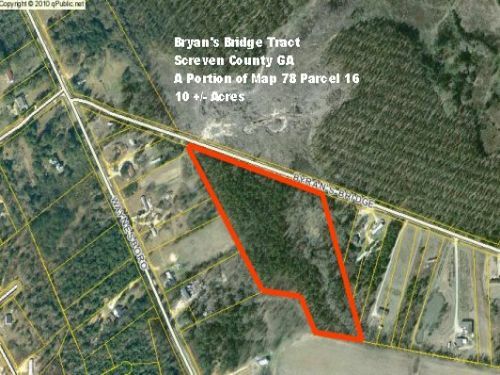 is a great wooded lot perfect for a home site. Property is about 10 acres and will need to be surveyed. Price to be adjusted to surveyed acres. Excellent upland site for a home. Pine and hardwood timber on the tract will add to your privacy. Or, we can harvest the wood to open the tract up for pasture or a great big yard. Considerable value in merchantable timber. We have this one priced to sell. Let us know what we can do to be of help.